A Labour MP has accused the courier company Hermes UK of “hounding” its employees, including the parents of a dying child. Frank Field has written to the prime minister calling for an investigation into the firm’s working practices. A recent Guardian investigation found some of its workers were effectively paid less than the minimum wage. Hermes UK said it would investigate the specific cases raised in the letter and that its pay averaged £9.80 per hour. The compulsory National Living Wage, for those aged 25 and over, currently stands at £7.20. Younger workers can earn less. Mr Field said that he has been contacted by “a number of current and former workers” regarding company procedures which make them feel as though they “are being treated like dirt”. Hermes UK rejected all of the complaints above. The company said it had written to Mr Field to invite him to discuss the contents of the letter. Of the claim about the “hounded” parents, it said: “Until this morning, we were unaware of the accusation concerning the young boy in hospital and the pressure put on his parents. On the legal minimum wage, it said: “Our records prove that on average, our network of 10,500 self-employed couriers receive the equivalent of £9.80 per hour after deductions, 36% above the National Living Wage of £7.20. As far as the bogus self-employment claim was concerned, the firm said HMRC had reviewed its courier model in 2011 and confirmed that it was legitimate, adding that it would be happy for HMRC to come and revisit at any time. 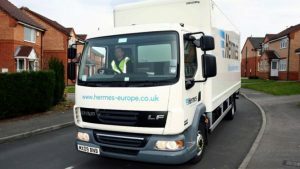 “We use internal and external tax and employment law specialists to ensure that the services that our couriers perform for Hermes, and the way these services are directed by Hermes, is consistent with self-employment at all times,” the company said. It said it did not expect couriers to work a seven-day week and it had 4,500 “specific cover couriers to support our permanent couriers” so that they were able to take holidays. “We would like to make it absolutely clear that Hermes UK does not transfer any monies overseas to avoid paying tax. We pay all taxes due in the UK,” the statement concluded. The FTSE 100 was down 29.19 points at 6,721.24. The biggest faller on the index was Lloyds, which fell 4.2%. Lloyds announced plans to cut 3,000 jobs as the bank prepares for a longer period of low interest rates following the Brexit vote. Royal Dutch Shell fell 3.5% after the oil giant reported lower profits. Second quarter profits fell by more than 70% to $1.05bn as low oil prices continued to affect the sector. “Lower oil prices continue to be a significant challenge across the business, particularly in the upstream (business),” said chief executive Ben van Beurden. Rolls-Royce shares jumped more than 5% after its half-year results beat expectations. The engineering group, which is in the midst of a turnaround programme, said underlying pre-tax profits fell 80% to £104m, but this was still ahead of expectations for a £16m loss. Rolls-Royce also said it expected profits to improve in the second half of the year. On the currency markets, the pound fell 0.1% against the dollar to $1.3208 and dropped 0.5% against the euro to €1.1898. Councils should be given the chance to resume their “historic role” as house builders to ease an affordable housing crisis, their lobby group says. The need was even greater following the economic uncertainty caused by the UK’s vote to leave the EU, the Local Government Association (LGA) said. It estimated that at least four million people of working age in England would need affordable housing by 2024. First-time buyer numbers in England have fallen by a third in a decade. The fall in home ownership among the young and rising rental costs has led to some calls for councils to step in to increase the supply of homes with a new building programme. Between the late 1940s and late 1950s councils built more homes than the private sector. Local authorities were building 100,000 homes a year up to the late 1970s, but the election of Margaret Thatcher’s Conservatives in 1979 led to a fall in house building by local authorities. In the year to the end of June, local authorities built 1,500 homes in England out of a total of 131,370 – that is just over 1%. “If we are to stand any chance of solving our housing crisis, councils must be able to replace sold homes and reinvest in building more of the genuine affordable homes our communities desperately need now more than ever,” Mr Box said. A separate report from the Centre for Economics and Business Research suggests that “tremors” from the vote to leave the EU will not prevent the average UK home costing about £40,000 more in five years’ time. This would push up the average UK house price from £194,000 in 2016 to £234,000 in 2021, it predicted. 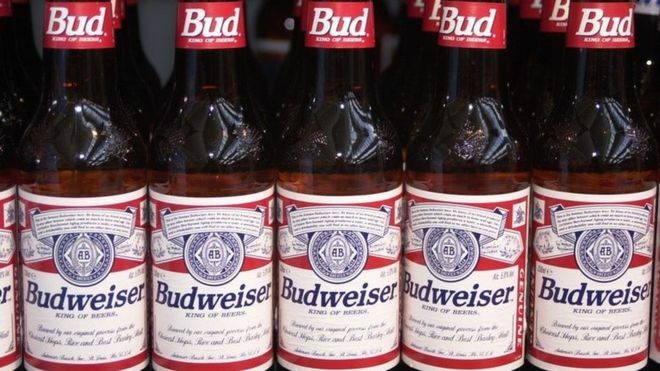 Budweiser owner AB InBev has raised its takeover offer for rival SABMiller after a fall in the pound made its original offer less attractive. The offer was raised by £1 a share to £45 a share, valuing SABMiller at about £79bn, up from £70bn previously. SABMiller said the two brewing firms had discussed the deal last week “in light of recent exchange rate volatility and market movements”. The pound has lost about 12% against the dollar since the UK referendum. The deal, agreed last year, will create the world’s largest beer firm, producing about 30% of the world’s beer. SABMiller, maker of Pilsner Urquell, said it would now consult with shareholders and that “a further announcement will be made thereafter”. AB InBev, which also counts Stella Artois and Corona amongst its brands, said this latest offer was final. The increased offer comes after major investors in SABMiller argued the fall in sterling made their part in the deal worth less. The way in which the deal is structured means that investors can receive either a cash component or a share of the new company – a partial share agreement (PSA) as it is known. The share agreement was designed specifically for SAB’s two biggest shareholders Altria and Bevco, who wanted to keep a stake in the new company. But since last November, when the merger was agreed, the cash value is now worth less in dollar terms, while the shares are now worth more. Aberdeen Asset Management, an SABMiller shareholder, said the latest revision was still not good enough. “The revised deal remains unacceptable as it both undervalues the company and continues to favour SABMiller’s two major shareholders,” it said in a statement. 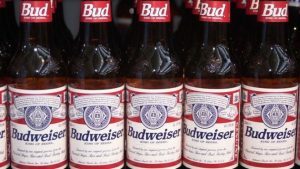 AB InBev would like the deal to be completed by the end of this year. It has cleared most regulatory hurdles and is just waiting for final approval from China. The UK economy grew 0.6% in the three months to the end of June, a period that ended one week after the vote to leave the European Union. Growth in gross domestic product was stronger than expected in the quarter, and was up from 0.4% growth in the previous three months, the Office for National Statistics (ONS) said. Any uncertainty ahead of the referendum seemed to have a “limited” effect, the ONS said. On an annual basis, growth was 2.2%. This is the first estimate of second-quarter economic activity and is based on less than half the data that will give the eventual figure. GlaxoSmithKline is to invest £275m to expand its UK manufacturing sites, saying the country remains “an attractive location” despite Brexit. The pharmaceutical firm, whose chief executive Andrew Witty backed the Remain campaign, said the UK’s skilled workforce and competitive tax system helped drive the decision. It said most of the products made at the expanded sites would be exported. The firm said it expected its investment to create new jobs. The firm said the investment would be spread across three of its UK manufacturing sites: Barnard Castle in County Durham, Montrose in Angus, and Ware in Hertfordshire. GlaxoSmithKline currently employs 16,000 people in the UK, 6,000 of which are employed in manufacturing. There were some fears that pharmaceutical firms such as GSK and AstraZeneca may seek to move their headquarters following the outcome of the EU referendum. Mr Witty had said prior to the vote that leaving the EU “would create uncertainty and potentially add complexity” for the UK’s life sciences sector. Providing a FREE Site Survey, their technical consultants – who are located throughout the UK, will be able to advise on the most economical and effective solution to all your roof and wall cladding problems. You then receive a full specification and costing or the work to be carried out by our highly trained site operatives. 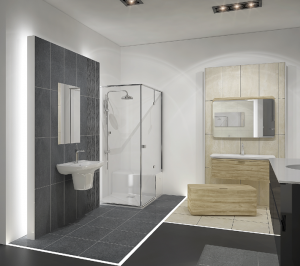 If you are interested in any of the services Easyseal UK provide, including industrial roofing, cladding renovation, asbestos roofing services or liquid applied roof coating systems, or simply want to know more please feel free to contact them on 0191 417 7822 or visit the Easyseal UK Website for further information. The UK government borrowed £25.6bn in the three months to the end of June, £2.3bn less than it did during the same period last year, and the lowest level since 2008. However the total amount owed continued to rise, reaching £1,621bn. That amounts to 84% of the value generated by the UK economy – otherwise known as gross domestic product (GDP). The measurement, which includes some forecasting, does not reflect the impact of the Brexit vote on 23 June. he government continues to spend more than its income – as it has done every year since 2002. For the month of June, though, the overspend – also known as the Budget deficit – was less than expected. As a result the amount the government had to borrow to plug the gap dropped to £7.8bn – a lot lower than the £9.3bn economists had expected. The figures only cover one week of our new, post-Brexit economy. But the Bank of England, IMF and others said before the referendum that the economy was already slowing down because of uncertainty ahead of the vote. In the first three months of the financial year, the income central government gets from taxes was up 3.3%. From VAT to income tax, receipts were up, with notable increases in stamp duty, up 15%, and national insurance, up 8.6%. The research firm Capital Economics points out that while borrowing fell more than economists expected, it was still down just 8.3%. At the last Budget, the Office for Budget Responsibility forecast it would fall by as much as a quarter. So the government is off course to hit the previous chancellor’s goal for the year of borrowing no more than £55bn. With income from tax receipts rising quickly, the puzzle becomes why the gap between income and spending isn’t closing faster. The answer, of course, is that spending is not actually being cut. Spending by central government departments is down in the first three months of the year by 0.5% – partly because of lower contributions to the EU. And the government saved £100m because it is even cheaper for it to borrow money and service debt than it was last year. But that was more than offset by increases in spending on welfare, notably, state pension payments, and capital expenditure. 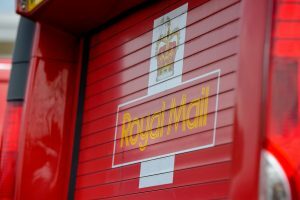 Royal Mail has reported a rise in parcel volumes of 2% in the three months to the end of June although letter volumes were 2% lower. Group revenue rose 1% in what chief executive Moya Greene said was “traditionally a quieter period” for Royal Mail. She added Royal Mail continued to “face challenges” caused by high levels of competition and low inflation. 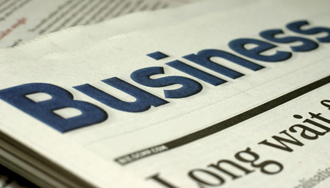 The company’s UK business reported a 1% fall in revenue. But that was offset by 13% growth in revenue and volumes in its European parcels network, GLS. Letter volumes were flattered by delivery volumes in the previous quarter and mail associated with the European referendum. Had that not been the case, letter volumes would have been 4% lower. Royal Mail said overall trading in the first quarter was in line with expectations, with no material change in overall trends. But it said it was monitoring movements in the wider UK economy as this impacted its business and, in particular, parcel volumes. Royal Mail has in recent years become increasingly reliant on the shopping habits of UK consumers, more of whom have moved to online retailers.